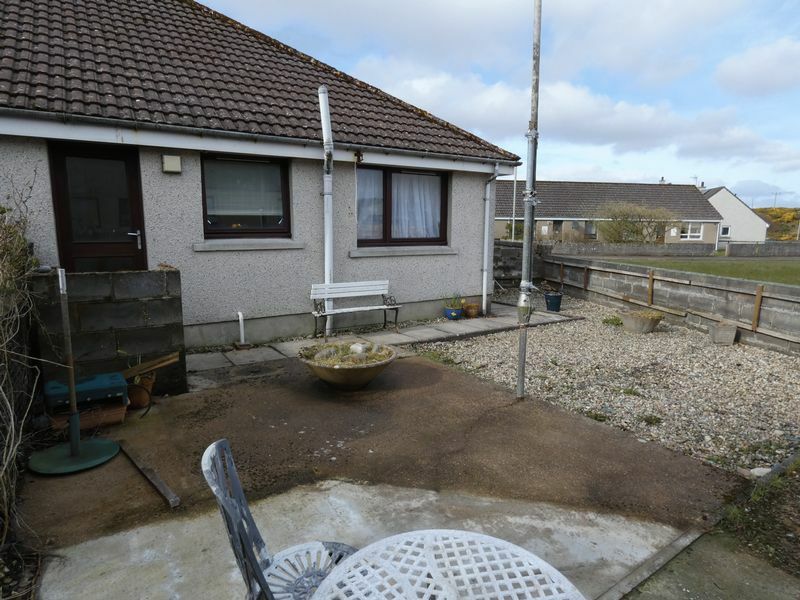 A neat one bedroom, end terrace bungalow that is perfect for a first time buyer or a buy to let. 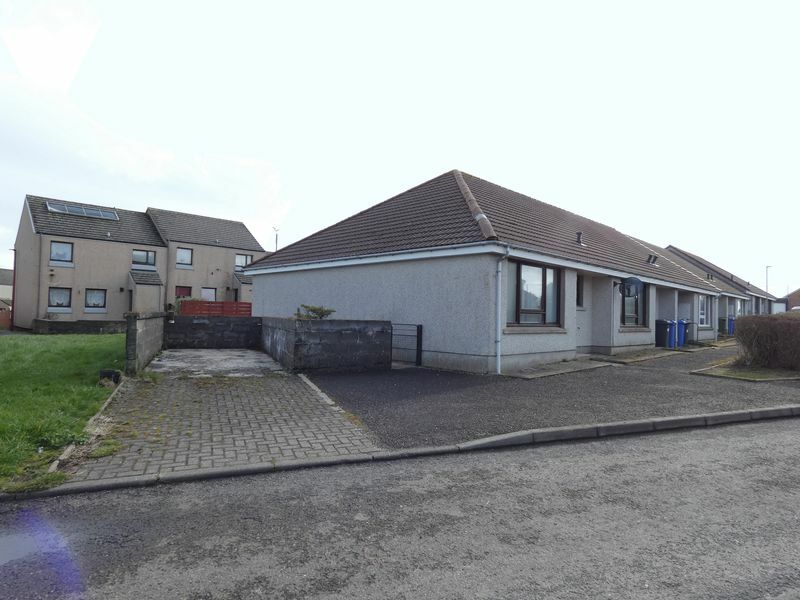 Situated in a quiet area of Thurso and has a bus link into the town. The property comprises of an entrance vestibule, bathroom, lounge, bedroom, kitchen/diner and lobby. 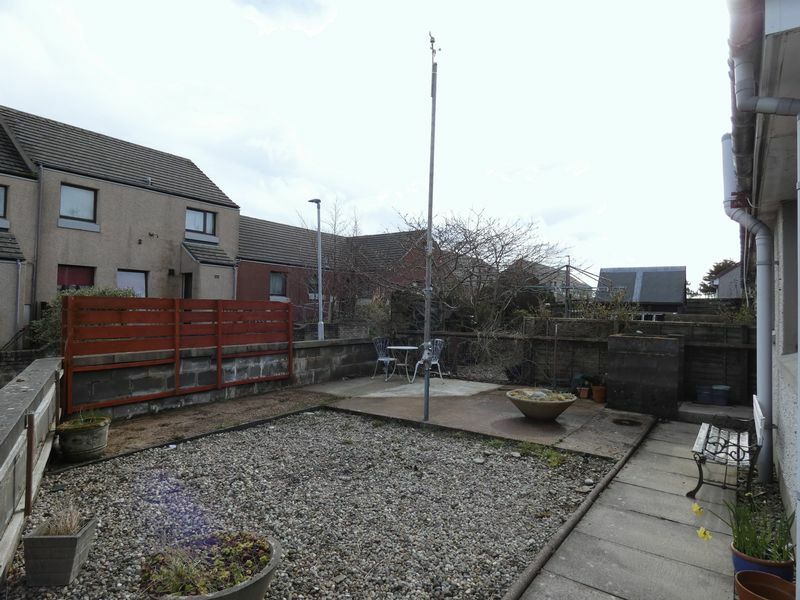 There is a well proportioned rear garden that has views of the moor and to the side a paved driveway. 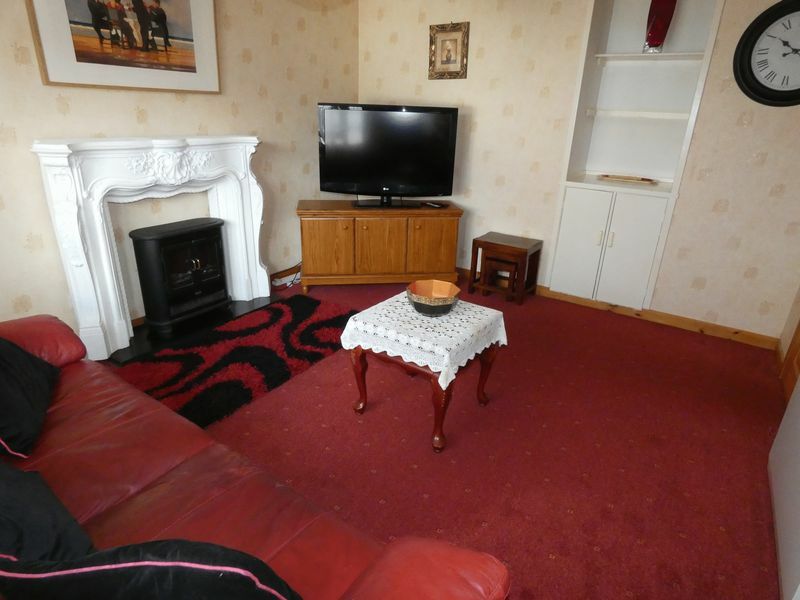 Double glazed and electric storage heating throughout. 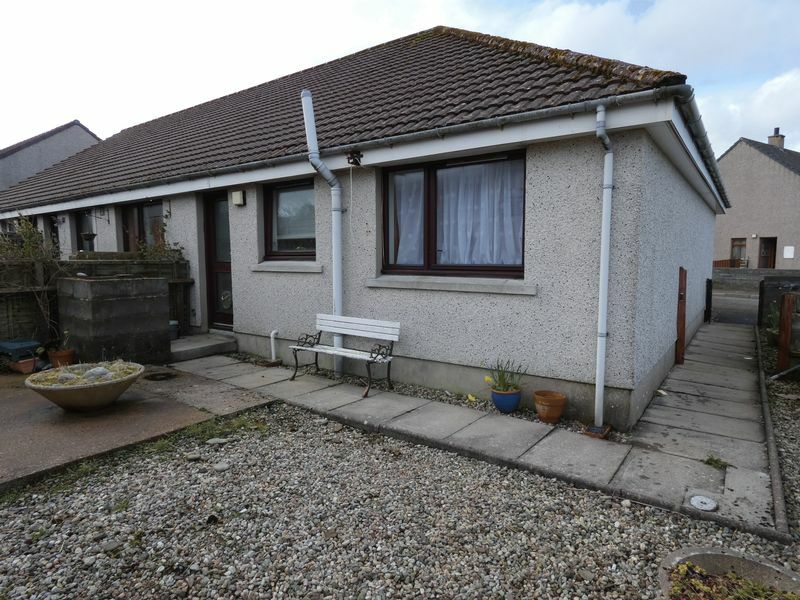 Council tax band A and energy efficiency rating E.
Enter via a double glazed front door into the vestibule that has a quarry tiled floor. This has a door leading into the hall. 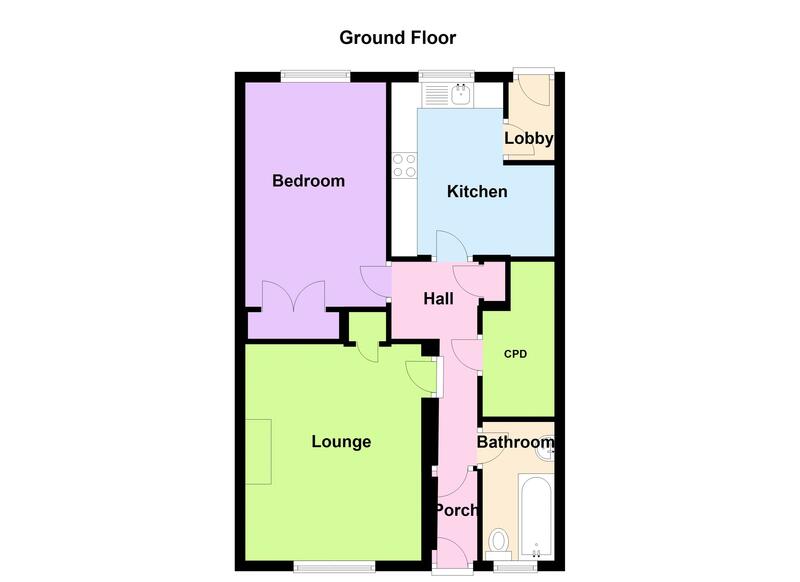 The hall has a parquet tiled floor and doors accessing the bathroom, lounge, bedroom, kitchen/diner and 2 cupboards. One of the cupboards is large enough to walk into and has ample shelving capacity. The carpeted lounge has a double glazed window overlooking the front of the property and provides natural daylight into the room. 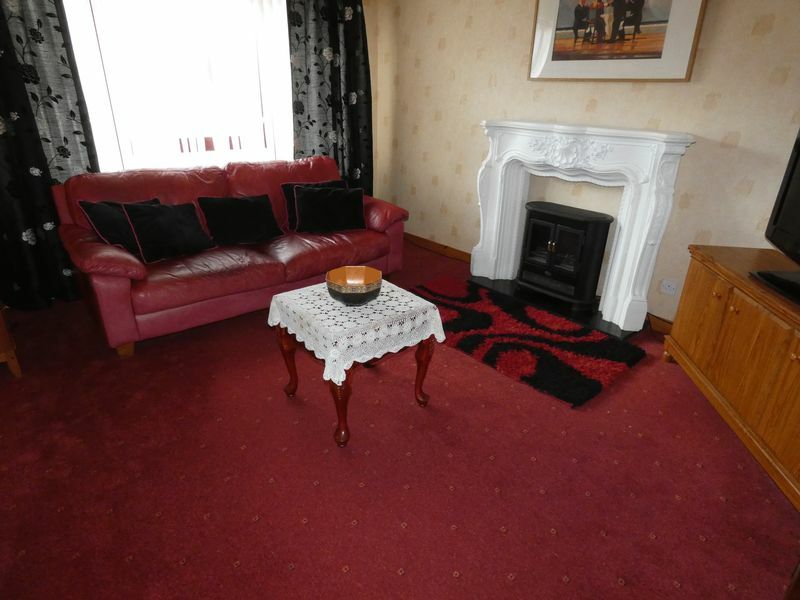 An elaborate mock fireplace with a Dimplex electric fire gives a focal point to the lounge. There is an alcove with a small half cupboard and shelving above, making it an ideal display unit. A solid pine door from the hall gives access to the bathroom which has a frosted window overlooking the front of the property that allows plenty of light and ventilation to the room. A white porcelain 3 piece suite comprising of a toilet, wash hand basin and bath. The latter has a rain and jet shower at one end. 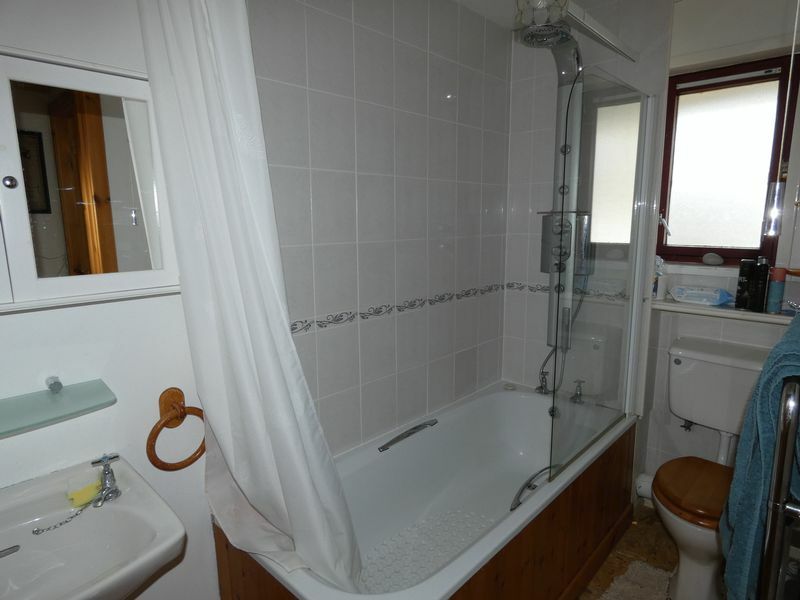 The bathroom also has an electric wall heater and heated towel rail. 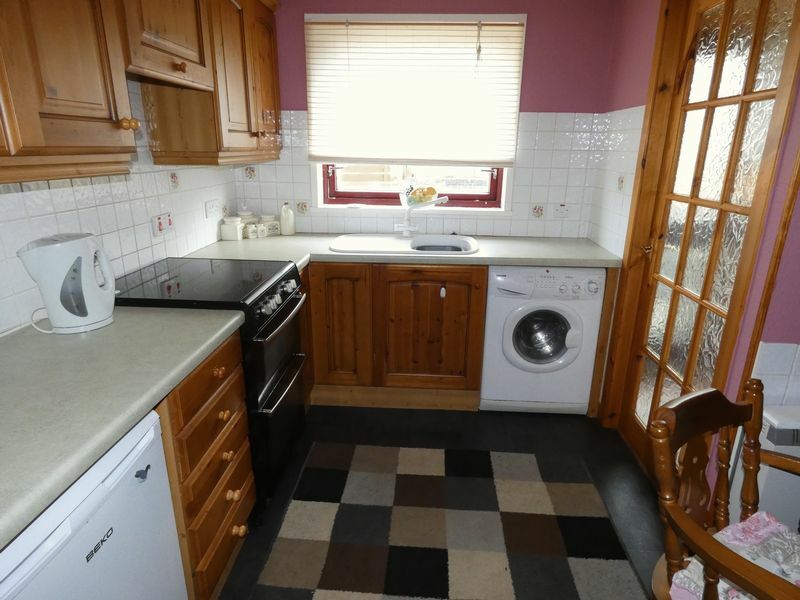 The well proportioned kitchen/diner has a window overlooking the rear garden and a vinyl floor. There is a fitted kitchen with pine wall and floor units, light grey worktops, a white tiled splash back and a built in Neff extractor hood. 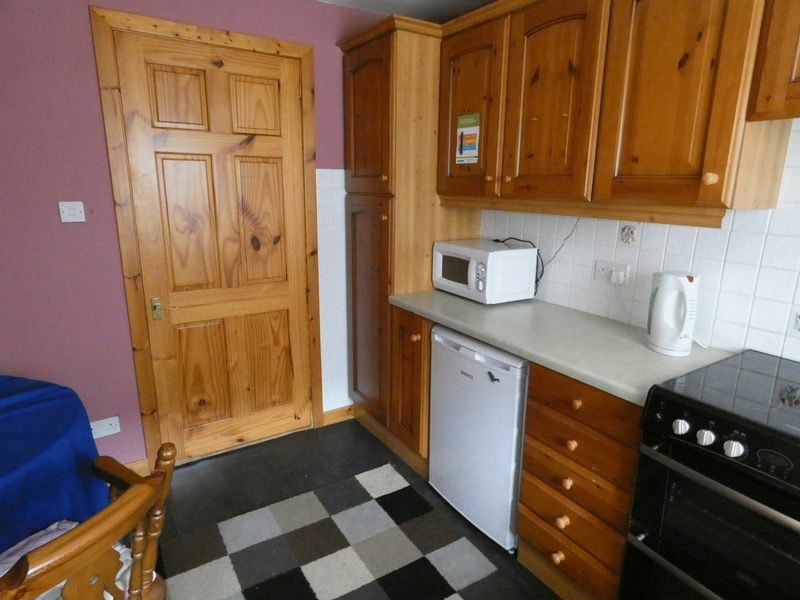 There is space for a freestanding cooker, fridge and plumbing for a washing machine. 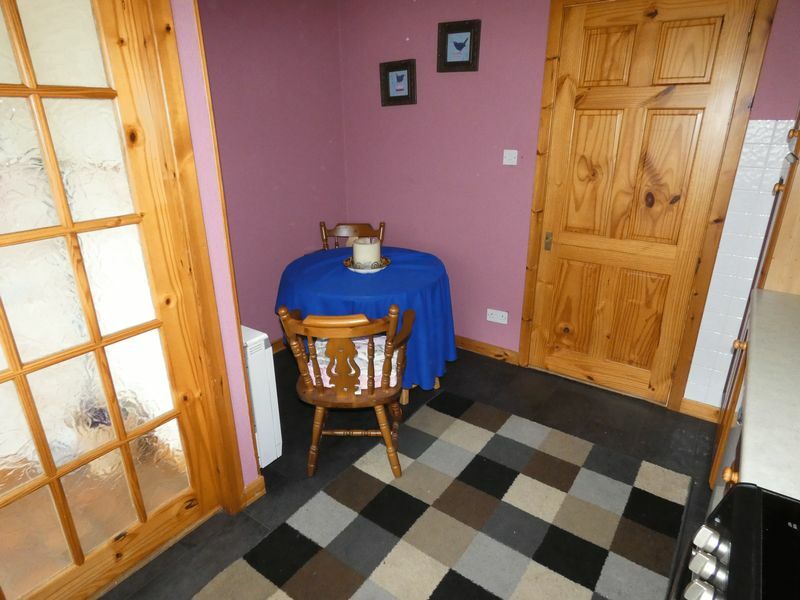 A table and seating for 4 people can easily be fitted to one side of the room. A glass panelled door leads into the rear lobby from the kitchen. The lobby has a similar quarry tiled floor as the porch and a door to the rear garden. 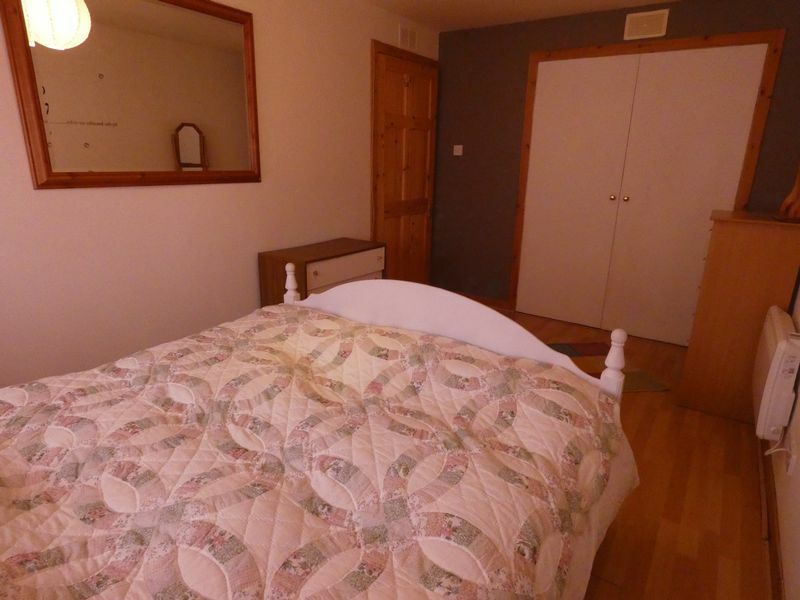 The bedroom has a window looking out to the rear garden making it a private room. 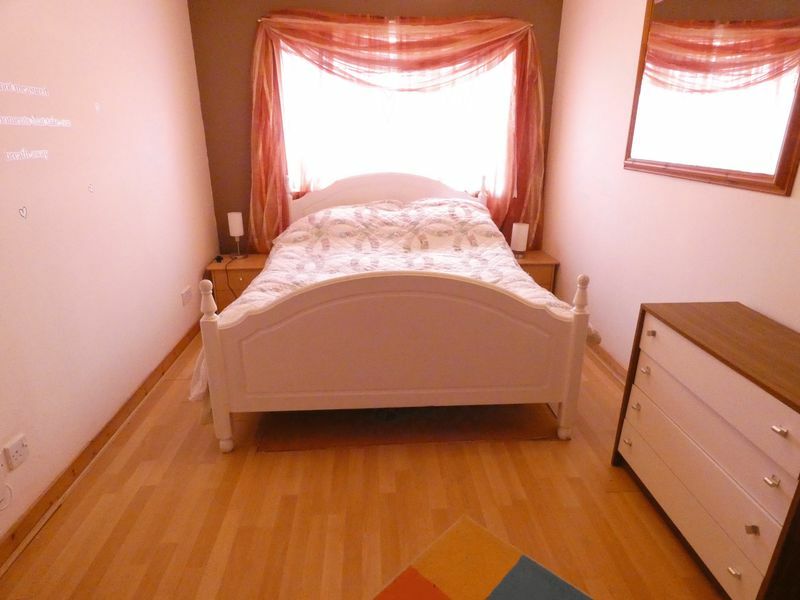 There is space for a double bed, 2 bedside tables and a chest of drawers. To complete the bedroom is a laminated floor in wood plank design and a built in cupboard. Outside is a low maintenance garden that has paved and gravel areas. 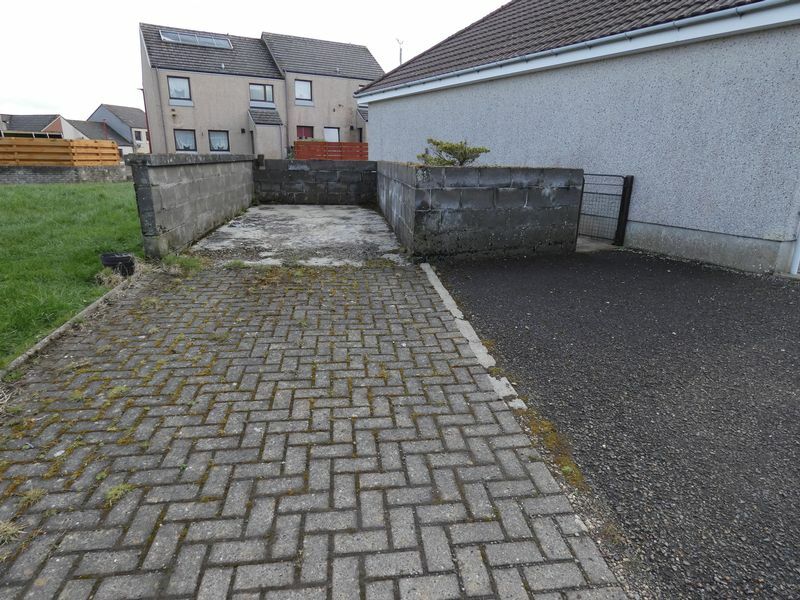 A path leads to the side of the property to the driveway allowing for off road parking for one car. It also allows views of the nearby moor. All carpets, curtains and blinds are included in the sale. 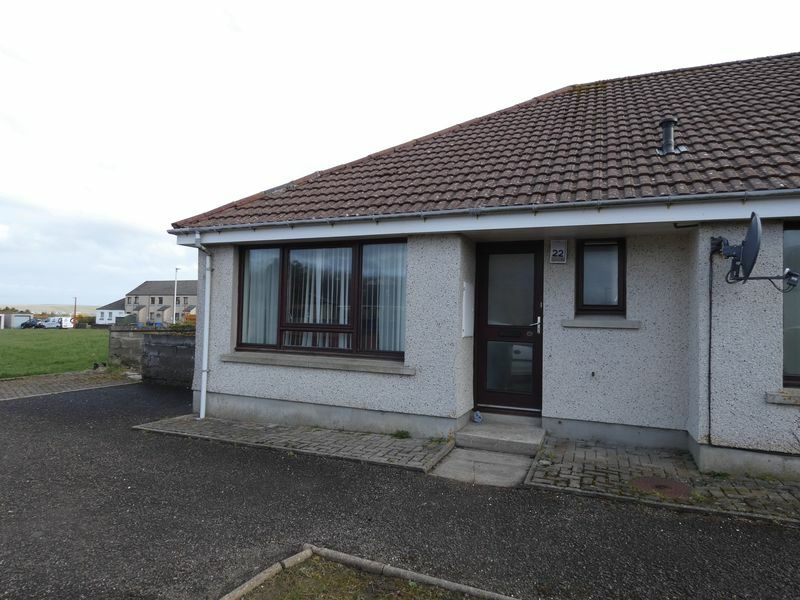 This property is a great opportunity for a first time buyer or for someone wishing to invest in a buy to let. Viewing is recommended.